Am I foolish to think there will be a public, powerful statement from the international adoption community, especially adoption agencies and policymakers, demanding that these parents receive more punishment than probation for the endangerment and abuse of 2 very young adopted children? Kristen and Douglas Barbour of Pennsylvania today pled “no contest” to endangering the welfare of their two adopted Ethiopian children, placed with them in March 2012 through the adoption agency Bethany Christian Services. The Barbours were charged with assault and endangerment in October 2012. The “no contest” plea, as I understand it and I am not a lawyer, is often a result of a plea bargain. It means they are not pleading guilty, but they recognize there’s evidence sufficient to convict them if they were to go to a trial. Sentencing will take place September 15. You can read the story in today’s Pittsburgh Post-Gazette here. Last summer around this time, I was attending the Washington state trial of Larry and Carri Williams, who were convicted for homicide and abuse of their adopted Ethiopian children, Hana and Immanuel. The similarities between the Barbour case and the Williams case are eerie. Two unrelated Ethiopian children were placed in a family with other biological children. Hana and Immanuel were about 10 and 8 at placement; the Barbour children were 5 (the boy) and 13 months (the girl). Things went well at first, with happy photos and cheerful blog posts. Then things became more challenging, and the families withdrew to use their own discipline and approaches. The Barbours apparently did seek out some help from an intentional adoption clinic doctor, but then “balked at his advice,” according to the Pittsburgh Post-Gazette. The little boy in the Barbour family weighed 46 pounds the first time he saw the doctor after arriving in the US. When the children were taken into custody and the parents arrested in fall 2012, he weighed 38 pounds, and was diagnosed with malnutrition–just like Hana, though of course Hana died. The boy was made to eat his food in the bathroom because he soiled himself, and lived in a sparse bedroom, very similar to the treatment of Immanuel. The baby girl was diagnosed in fall 2012 with retinal hemorrhaging which has resulted in blindness, as well as a brain injury and several healing fractures, including her femur and toe. A baby. I can barely tolerate typing that. The Barbours are not accused of abusing their two biological children. The Williamses were not accused of abusing their seven biological children. The adopted children in both families did not apparently comply sufficiently with the rules of the households into which they had been placed. The little Barbour boy, for example, didn’t play fair in Candy Land, according to a blog post by Kristen Barbour. One of the most puzzling parts to me in the Williams’ trial was that horrible, disproportionate punishments were doled out to Hana and Immanuel for behaviors such as adding numbers incorrectly, not saying thank you after a meal, and trimming the grass too short. The little boy placed with the Barbours had toileting issues, something common in internationally adopted children, and not unusual in a lot of non-adopted children. Immanuel Williams had his struggles too, that resulted in being denied meals or sleeping in a bathroom. These are issues that are certainly frustrating, but there is so much research, techniques, and support available that do not involve endangerment to children. Both the Williamses and the Barbours are Christians, and appeared to have been motivated by their faith to adopt. Douglas Barbour wrote a post titled “Biblical Motivations for Adoption.” citing a long list of reasons for Christians to adopt. This October 2012 Pittsburgh Post-Gazette article explains more. Both the Williams’ and the Barbour’s biological children will now live with the knowledge that their parents abused their Ethiopian siblings for whom they all prayed even before the children arrived. The biological children probably witnessed the abuse of and cruelty afflicted on the young adoptees by their parents as well, and that is its own type of trauma. 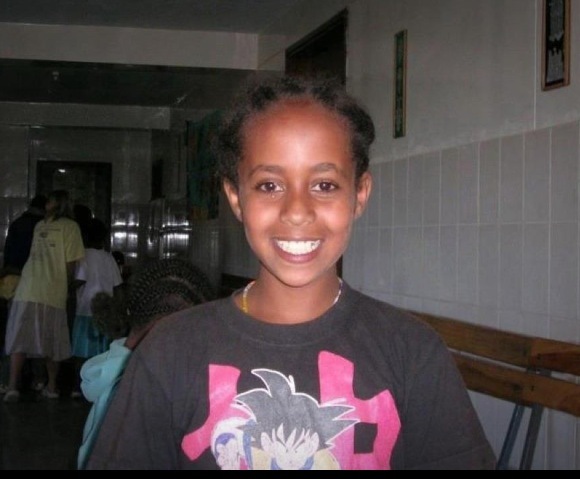 Connections have been made with Hana’s biological family in Ethiopia, and so they are aware of what happened to her. I wonder if the Ethiopian families of the Barbour children will ever know how they have fared since being adopted. I hope so, as sad as the news would be. They deserve to know the truth. “They are good people,” their attorney says. On every level, this case is a tragedy. I am speaking out. International adoption agencies and adoption policy makers, where are your voices, on behalf of the children? I was blessed to have a mother who loved me unconditionally, who believed in me fully, and who was steadfast in her love for and devotion to my children as well. 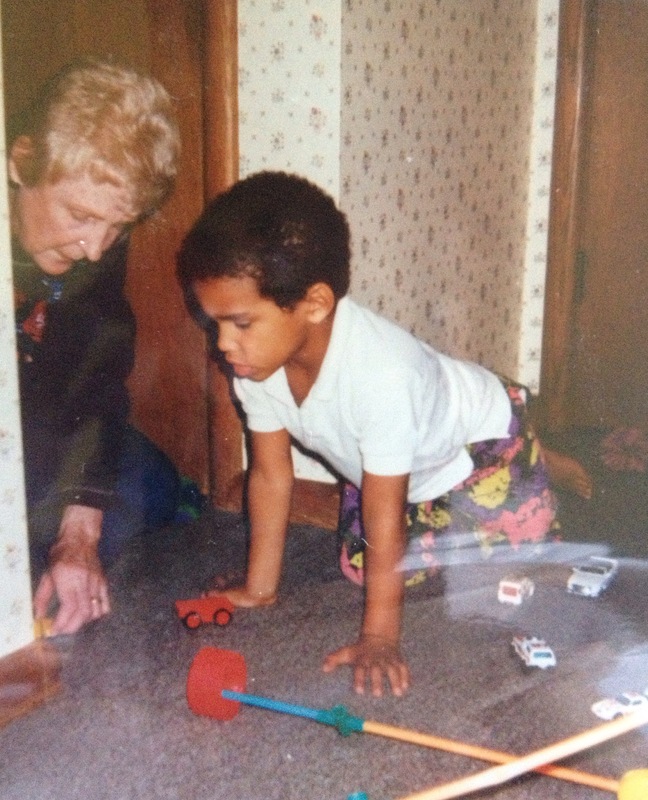 Mom with her youngest grandchild, about 22 years ago. Mom died over 10 years ago, and I miss her every day. She would have been crazy about her great-granddaughter, who’s now 7 years old. While I sometimes can’t believe I’m a grandmother, I know how fortunate I am. I’m incredibly fortunate to be the mom of 4 amazing young people, whom I love beyond words. I am their mom through adoption, and I hold their first mothers tightly in my heart. I’m especially proud on Mother’s Day of my daughter Aselefech, who is a wonderful mother herself. I’m thinking today also of Hana Alemu, born in 1997 in Ethiopia. She was brought to Washington state in the US for adoption in 2008, and she died, three years ago today, on May 12, 2011. An amazing story of hope and beauty has emerged from the tragedy of Hana’s passing. David Guterson, the acclaimed novelist who lives on Bainbridge Island in Washington state, attended nearly every day of the trial last summer of Hana Alemu’s adoptive parents, Larry and Carri Williams. The Williamses are now each serving lengthy prison sentences for Hana’s tragic death. David is writing a book about Hana, and traveled to Ethiopia in March for research. He met Hana’s best friend and cousin there, a young woman named Haimanot. Haimanot was struggling with a brain tumor. Wiithout surgery, she would lose her vision. David arranged for Haimanot to come to the US in April. Haimanot had surgery to remove a pituitary tumor at Swedish Medical Center. It went well. She had some headaches and low energy afterward, but is now feeling great. Swedish did everything pro bono and will continue to provide treatment for Haimanot as needed. Rep. Derek Kilmer (6th-WA) opened the door for the visa. The Ethiopian community has provided room and board, and there has been lots of support from the Seattle Ethiopian Community Center. My mom would have loved this story. I’d like to also remind folks about another positive recent development: the excellent resource Ethiopian Adoption Connection, a website to connect Ethiopian original families with their children adopted around the globe. 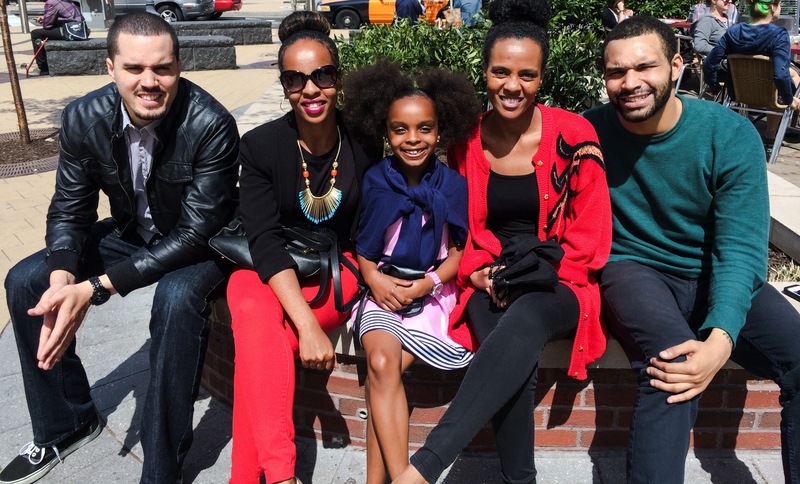 After only a short time, they’ve already been able to connect adoptees with their Ethiopian families. There are also many resources listed on the site, which is in Amharic and English. Keeping families connected is a gift beyond words. May we all have hope that good can come from tragedy. 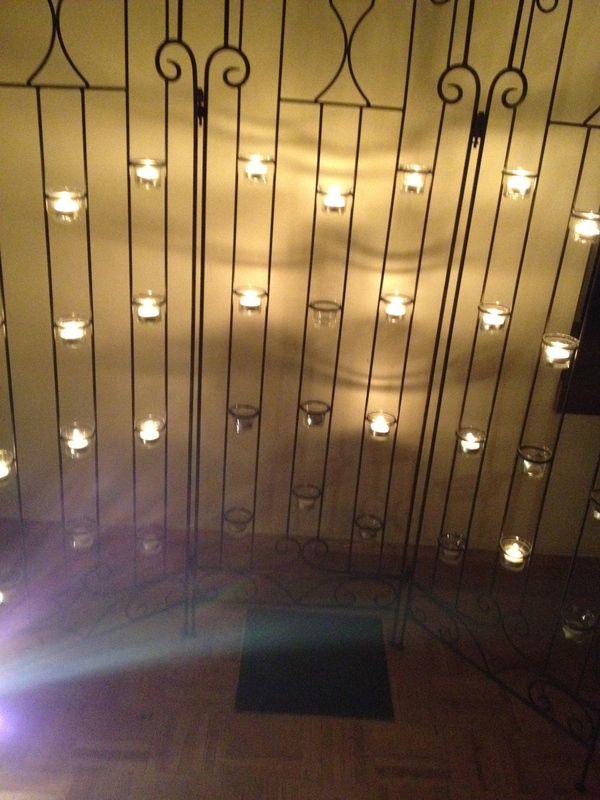 May we hold in our hearts those who have died, and honor their memory. May we treasure those who love us and care for us. May we not miss an opportunity to help others, with kindness and compassion. The third anniversary of the death of Ethiopian adoptee Hana Alemu is May 11. Here is an amazing story of hope and beauty emerging from the tragedy of Hana’s passing. David Guterson, the acclaimed novelist who lives on Bainbridge Island in Washington state, attended nearly every day of the trial of Hana Alemu’s adoptive parents, Larry and Carri Williams. The Williamses are now each serving lengthy prison sentences for Hana’s tragic death. David is writing a book about Hana, and traveled to Ethiopia in March for research. He met Hana’s best friend and cousin there, a young woman named Haimanot. Haimanot was struggling with a brain tumor; without surgery, she would lose her vision. 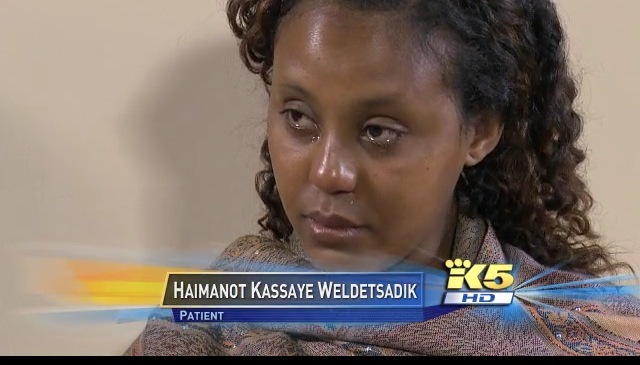 David arranged for Haimanot to come to the US, where she has had successful surgery at Swedish Hospital in Seattle. What a moving and incredible story of hope and life and possibility. My appreciation and admiration to David and his family. My gratitude to the support of the Ethiopian Community Center. My best wishes to Haimanot for quick and full recovery. Hana Alemu remains in the hearts of so many people. What a blessing to hear this good news about her beloved friend. You can read and see more at this link to the TV news story.